of Longview EPC exists with the sole purpose of complementing and enhancing the worship experience of those who attend. Our worship style is blended. What that means is most services will have piano, guitars, drums, choir, band and orchestral instruments, and a variety of music. Whether it a traditional hymn, gospel song, chorus, contemporary song, spiritual, choral anthem; Taize, or world music; we believe that as long as it aids in furthering the gospel and our experience of worship, God can use it to further His Kingdom in our midst. One Sunday will not hold every style of music, but over a period of weeks a worshiper should experience a balanced blend of music. Click on the picture to see our facebook group page or email David at DLuna@epclongview.org. 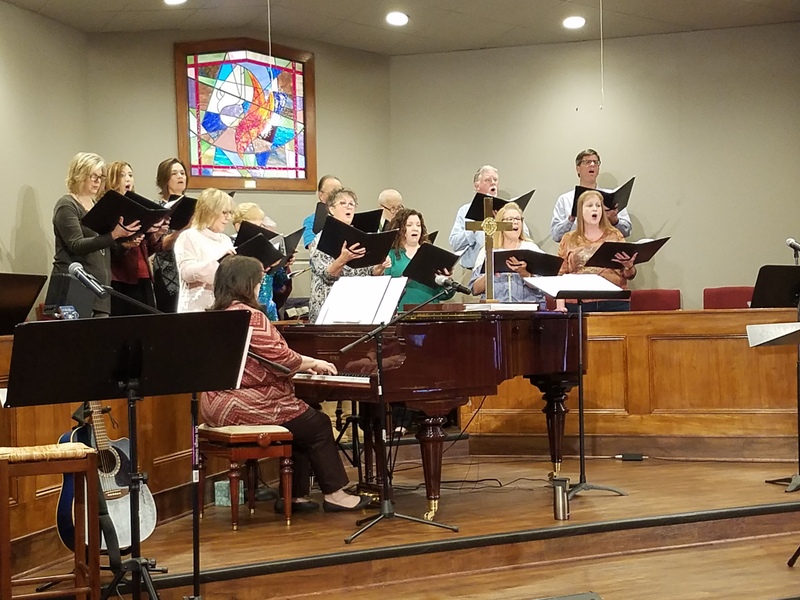 This volunteer ensemble meets on Wednesday evenings for rehearsal from 6:30 - 8:00 PM and then again on Sunday mornings at 8:30 AM. 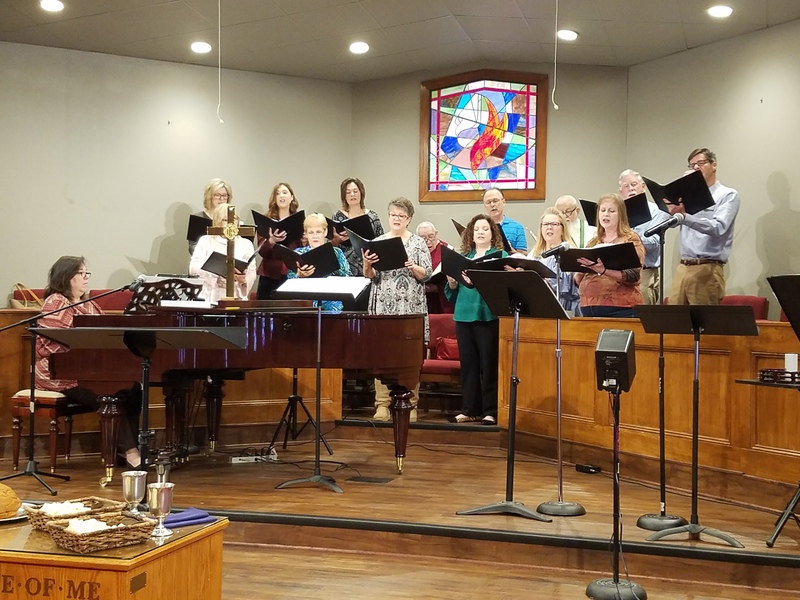 The choir is open to anyone who enjoys singing. The only real requirement is that you can match pitch and it is helpful if you can follow a voice part. We are in need of more singers and would welcome you. This worship team is made up of volunteers who have skills and talents playing instruments and singing. This team meets on Thursday evenings for rehersal from 6:00 - 7:15 PM. If you enjoy playing guitar, bass guitar, drums, keyboard, or even band and orchestra instruments such as flute, clarinet or violin it would be great to have you share your talents in worship. Children's music is taking place on Sunday morning prior to Sunday school. Come join the fun with our BOOMWHACKERS and more as we gather each Sunday in room 105 prior to Class! !